These days, I have been super active – travelling in different places, participating in various fun runs, on top of my daily shenanigans. I am really enjoying the perks and savoring the experiences, but there are some drawbacks, too. Getting exposed to changing temperature gives me a lot of bad hair days. It’s a lot of work before I can achieve my picture-ready hairdo. And, yes, it’s stressful! Also, whenever I join fun runs, I always must keep my ponytail the entire event because I’m just not confident with my hair after getting sooooo sweaty! I’m constantly pumped up with all the activities, but my hair gets tired and dry so easily. 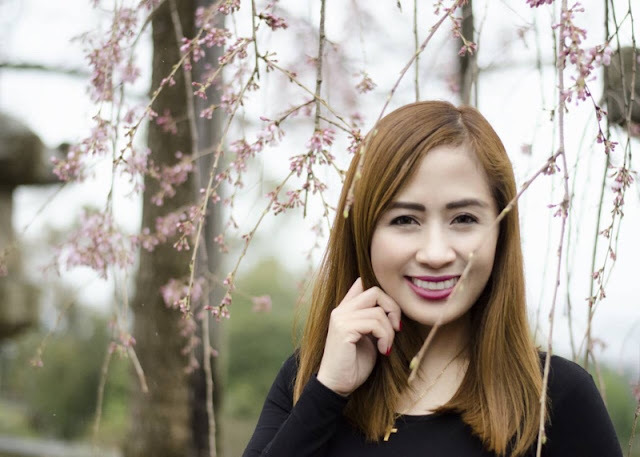 I love how Cream Silk takes care of my hair, especially that it’s always treated with hair color. I have no complaint with how it kept the hue so vibrant and outstanding. 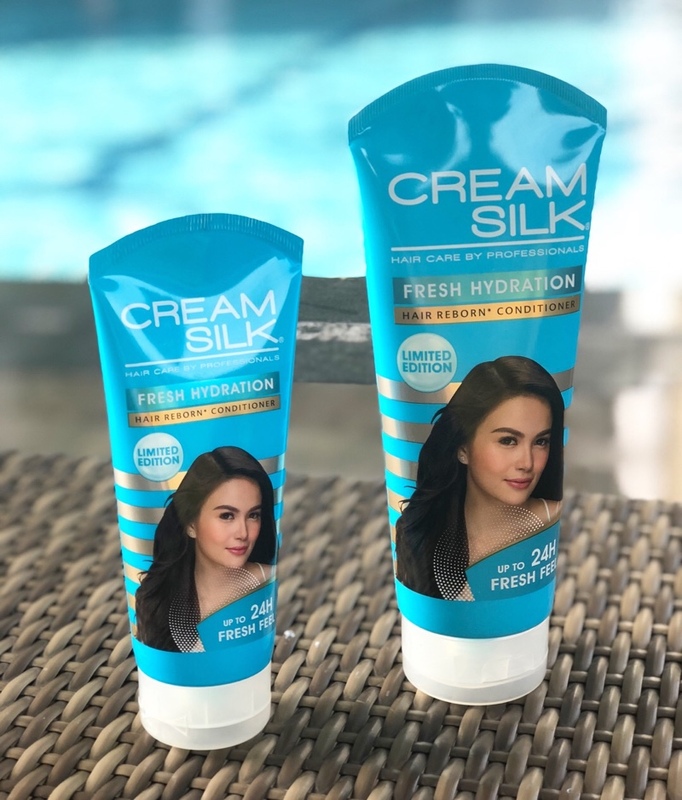 Since my crown needs a different kind of pampering due to some changes in my activities nowadays, I had been looking forward to trying the newest variant from my #1 hair conditioner – Cream Silk Fresh Hydration. Cream Silk Fresh Hydration is a limited-edition conditioner this summer season. The brand guarantees up to 24 hours freshness, keeping hair hydrated without the greasiness. You know how it feels when your hair gets greasy and sticky with the high humidity, right? Aside from that, there’s a big chance it can get dry due to sun exposure. Cream Silk Fresh Hydration is especially formulated to keep our hair fresh and moisturized. The first time I used it, my excitement was really on top! The light blue color already gave me a cooling effect. And it smelled really really nice! After applying it for a couple of days consecutively, I have noticed great improvement in my hair. It gave me the convenience of combing my hair just like the other variants. Super soft and smooth! What I really liked is how the cool and fresh smell stayed all throughout my very busy days. I didn’t have to use my ponytail nor brought it to a bun even if I was sweaty. Now, I can confidently say that I’m officially ready for summer! My photos might not do justice for this awesome product, so I highly suggest that you try it. As for me, I’ll be filling my toiletries’ cabinet with Cream Silk Fresh Hydration while it is available in the market. I just wish this edition is not limited to this season only. Hope they keep this as part of their regular variants. Cream Silk Fresh Hydration Conditioner is available at leading supermarkets and drugstores nationwide. Suggested retail price is P109 for 170ml and P197.50 for 340ml. I will try that new variant from CreamSilk. I only use creamsilk on my hair. It helps smoothen and straight. Defenitely I will try the limited edition. Creamsilk Fresh Hydration . Thanks for sharing. I'm a long-time user of Creamsilk and my favorite variants are the ones for straight hair, damaged hair and dandruff control but i am definitely trying this limited edition variant! How I clean and organize my car? Landers Superstore Alabang West is now OPEN!